Taylor McConnell is a doctoral researcher in Sociology at the University of Edinburgh and an International Fellow at the Frankfurt Memory Studies Platform for the 2019 summer semester. His thesis, “Još Hrvatska ni propala [Still Croatia Has Not Fallen]: Examining the Public Face of Memory in Croatia”, focuses on the visual culture of remembrance and the process of identity construction in Croatia since the end of the War of Independence/Homeland War in 1995. This research involves examinations of publicly-accessible and tangible forms of memorialising the past, namely monuments, memorial placards, museums, art and commemorative events, and the relationship between memory and conflict. Taylor is also a Co-Chair of the Critical Human Rights and Memory working group for the Memory Studies Association and was previously a Visiting Fellow at the Centre for Southeast European Studies at Karl-Franzens-Universität Graz. 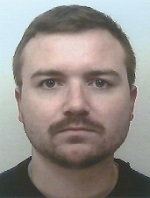 For more information, visit: http://www.sociology.ed.ac.uk/people/research_students2/taylor_mcconnell. Memory Abuse, Violence and the Dissolution of Yugoslavia: A Theoretical Framework for Understanding Memory in Conflict. Innovation: The European Journal of Social Science Research 31.4 (2018). Nationalism, Violence and the State in the Balkans: A Comparative Review Nationalism and Ethnic Politics 24.3 (2018), 348 – 358. Monument Destruction and the Second Death of Yugoslavia. Nationalism Studies at the University of Edinburgh blog. 15 October 2018.